A new episode of the popular Discovery Company show was filmed on location at Excel Dryer, Inc., the East Longmeadow, MA-based manufacturer of the XLERATOR® high speed energy efficient hand dryer. The episode is scheduled to air on Friday, January 9th at 9:00pm EST on The Science Channel. East Longmeadow, Mass. 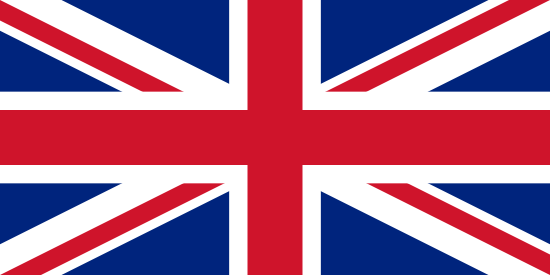 – Ever wonder why some hand dryers actually get the job done, and some don’t? How It’s Made, The Science Channel’s series exploring how common/everyday items are made, will be giving viewers an inside look at new age hand dryer technology and manufacturing processes beginning on Friday, January 9th at 9:00pm EST. 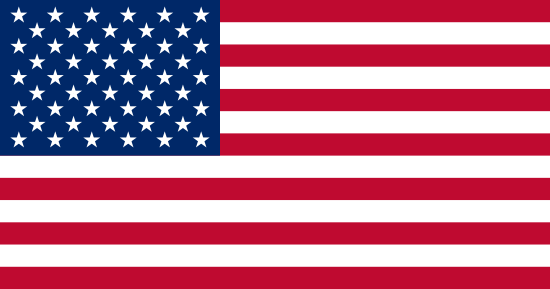 A portion of the latest How It’s Made, episode #19, was filmed on location at Excel Dryer in East Longmeadow, MA, and will demonstrate how the patented high-speed, energy-efficient XLERATOR Hand Dryer is created – and what makes it perform much better than other dryers. 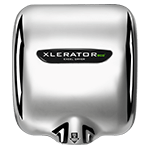 Seven years after its official launch, the XLERATOR hand dryer has established itself as the new industry standard by which other dryers are measured. 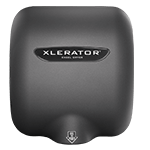 XLERATOR completes the job three times faster and uses 80% less energy than traditional hand dryers, while delivering a 95% cost savings vs. paper towels and creating a more hygienic restroom environment. 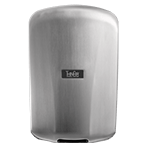 The XLERATOR is the only hand dryer to be MADE IN USA Certified, the first hand dryer to achieve GreenSpec® listing and also helps facilities qualify for LEED® (Leadership in Energy and Environmental Design) credits by the U.S. Green Building Council. In addition to meeting the demands of today’s ‘green’ initiatives, XLERATOR dryers can help facility managers save thousands annually by eliminating the costs of paper towel dispensers and their maintenance. The XLERATOR has also been featured on Discovery’s National Environmental Report and Things We Love to Hate, Terry Bradshaw’s Pick of the Week on CNN Headline News, and two 2008 episodes of ABC’s Extreme Makeover: Home Edition.